St Catherine the Great Martyr Church, Moscow. 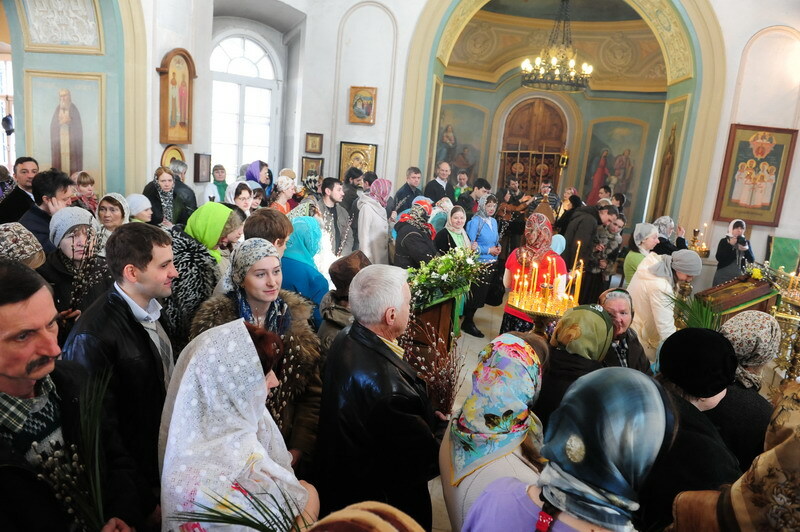 In ecclesiastical terms, a metochion (подворье) is an ecclesiastical embassy church, usually from one autonomous church to another. 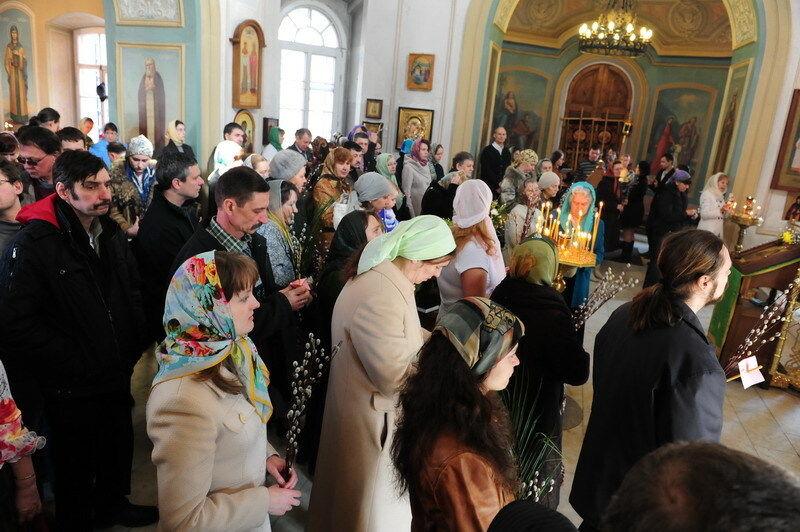 Such is the Church of St. Catherine the Great Martyr in-the-Fields in Moscow with the mission to represent the American Orthodox community to the Russian Orthodox Church. 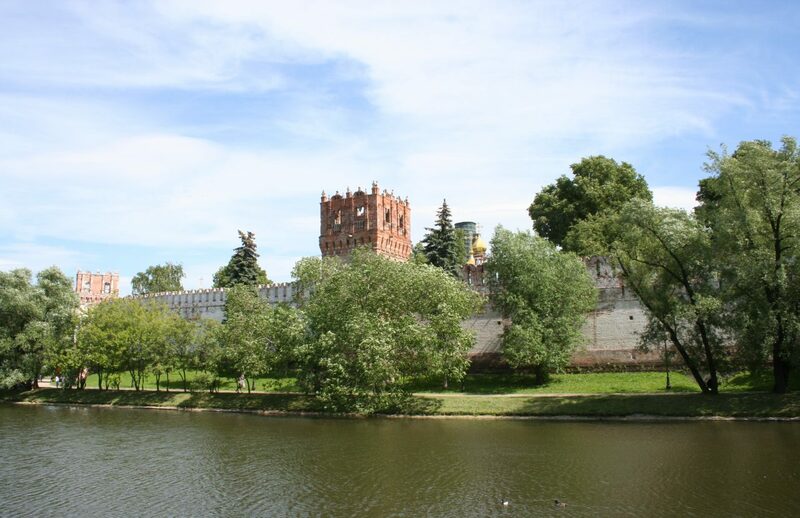 In the sixteenth century Tsarina Anastasia Romanova established a place for cosmetics merchants in an area beyond the Moscow River and with it built a church in 1612. 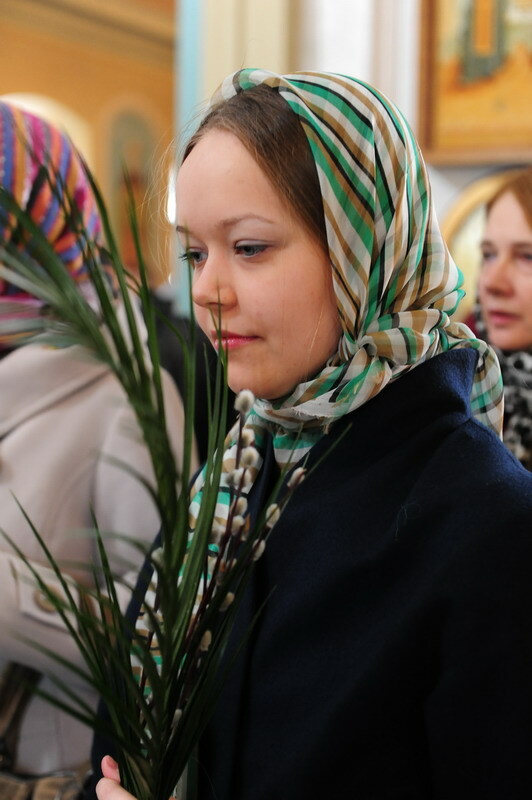 The church was dedicated to Saint Catherine, the Great Martyr in-the-fields. Initially the church was erected of wood but later damaged during the Time of Troubles as the merchant area was the scene of battles between Russian defenders and Polish and Lithuanian invaders. Repairs and additions were made in 1636, this time with stone as the main building material. Workers also added the Saint Nicholas chapel to one side of the church. 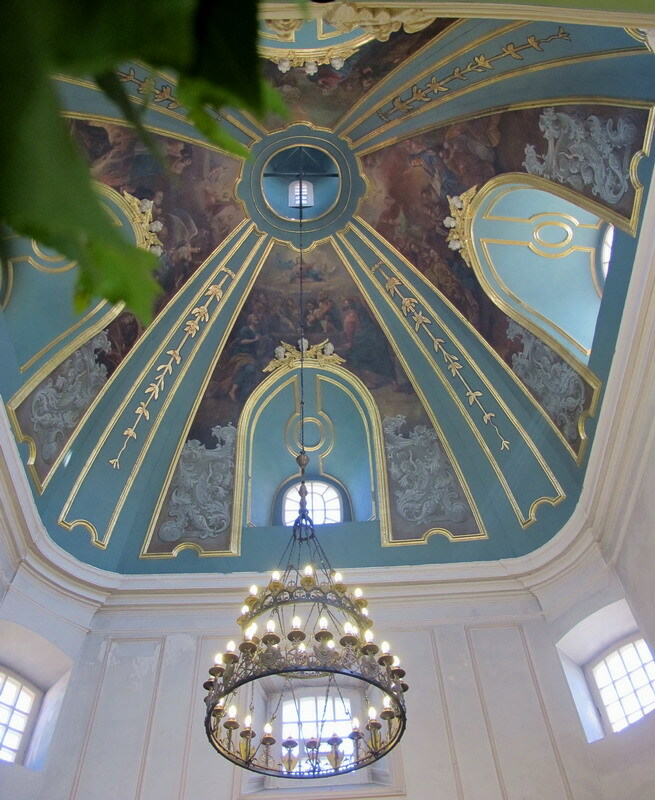 Saint Catherine the Great Martyr Church, Moscow. Before being shut down by the Bolsheviks, the church was a favourite of Russian Patriarch Tikhon, a Russian-American, who had served as the primary Archbishop of America. Until his arrest and soon thereafter murder by the Soviets, Tikhon administered both the Russian and American Orthodox national churches. The Bolsheviks set about closing churches and began with the murder of Patriarch Tikhon. In 1931 the church was stripped of most of its furnishings and the clergy were declared enemies of the state and killed. For decades the Communists used the church for offices as well as converting three floors into communal apartments. With the collapse of Communism the government began to return some churches to the original owners and the Church of St. Catherine was among the earliest to be returned. 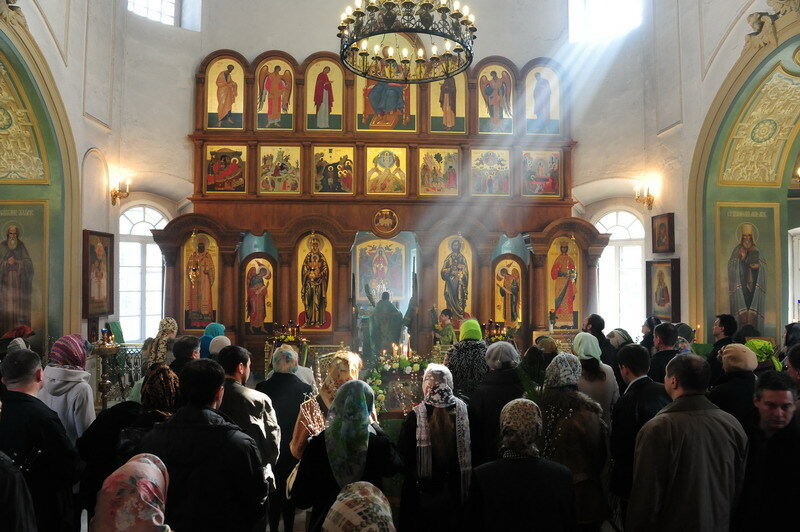 When the Russian Orthodox Church began to restore communion with her sister Orthodox Churches the USA sent an Archpriest to Moscow from the Orthodox Church in America to establish a representation church to the Moscow Patriarchate. The OCA had begun as the daughter church of the ROC as it was the Russians who had first brought Orthodoxy to the Americas. Given the location, Saint Catherine was placed at the disposal of the OCA and in 1994 reopened for worship. 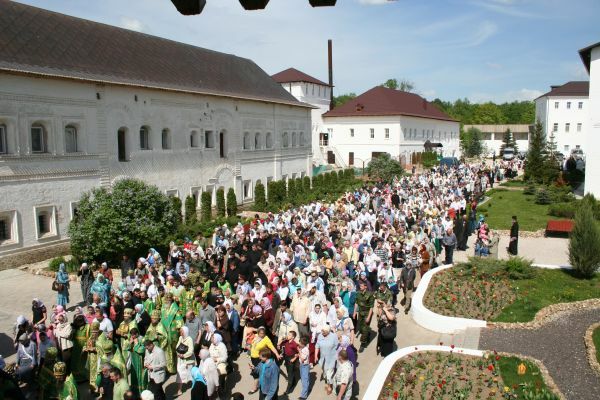 His Holiness Alexei II of Russia and Metropolitan Theodosius of the USA concelebrated the Orthodox divine liturgy and consecrated the Representation Church of the Orthodox Church in America, Saint Catherine the Great Martyr, on 11 June 1999. 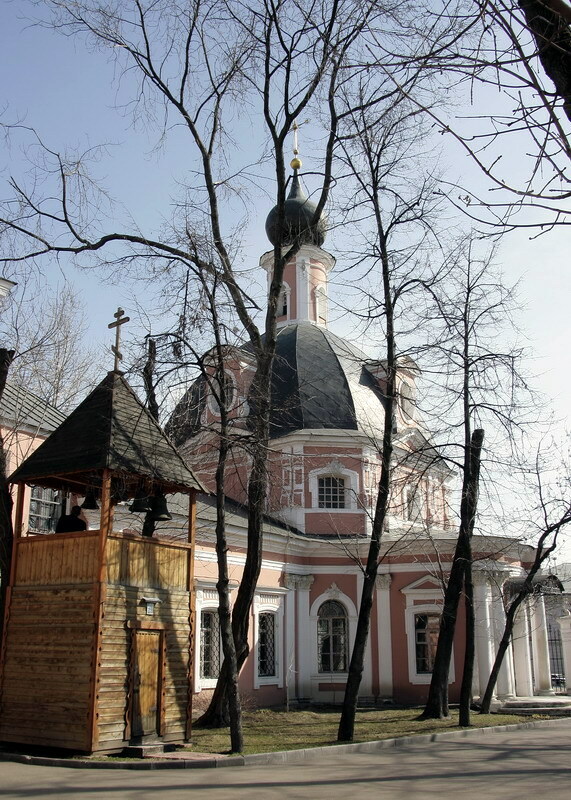 This Moscow neighborhood made up of quiet courtyards and nineteenth-century manor houses, occasionally broken by the characteristic onion domes of Russian Orthodox churches, conveys more than anywhere else in Moscow the atmosphere of a patriarchal way of life, of bells calling the faithful to vespers or the Divine Liturgy, the smell of incense and the beautiful chanting of Old Church Slavonic songs and liturgy. At present the parish of St. Catherine’s consists of two churches, the older summer (‘cold’, because it does not have heating) church in honour of the saint herself, and the winter (‘warm’, because it has heating) church, dating from the mid-nineteenth century. Of special interest are the outer metal railings of the territory of the church that were placed here in 1769. These ornate railings are a unique example of eighteenth-century Moscow metal work and are broken by stone columns topped by the imperial state symbol of Russia borrowed from Byzantium, the double-headed eagle. 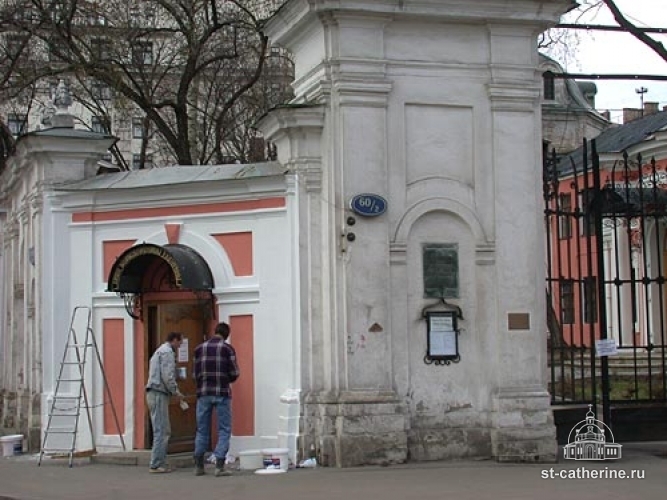 The double-headed eagles that crowned the main metal gates to the church were removed in the 1920s by the Communists as they were symbols of the Romanov monarchy. The effects of the brutality meted out to the Orthodox Church in Russia for over a period of seventy years cannot be eradicated overnight. 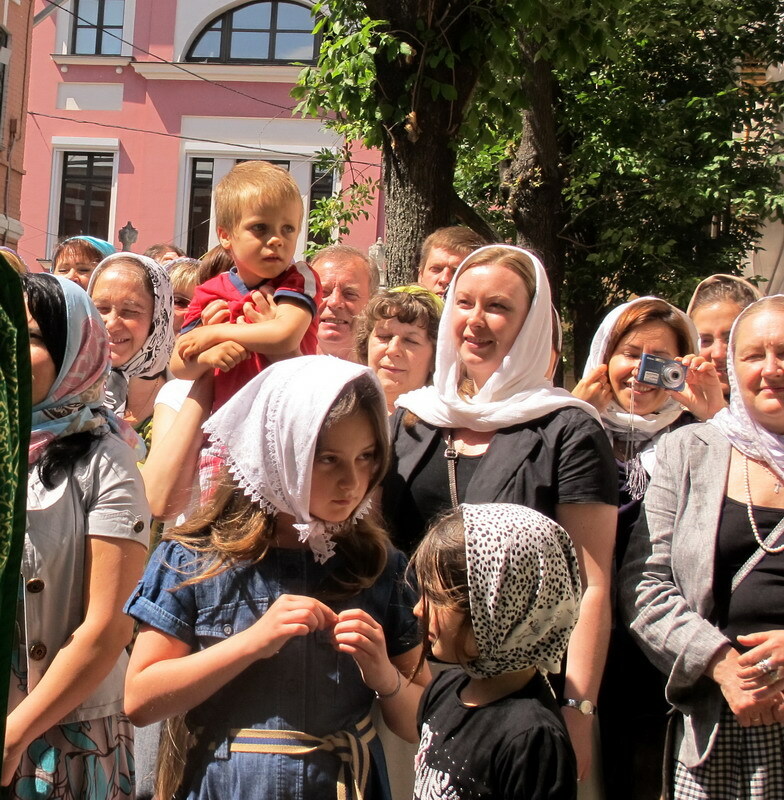 Saint Catherine’s OCA Church shares with her sister Russian parishes not only the joys of spiritual regeneration but also the myriad of tribulations that sudden freedom can bring. The communist bureaucracy left a legacy of inertia, inefficiency and corruption that will take generations to overcome. This has entailed frustrating delays in the return of all of the church property. The shadow of the past still hangs over St. Catherine’s in the form of the rectory, which is now occupied by the Federal Security Service (the former KGB). Mendeleyev note: there is quite a nice bookstore, small but adequate, at Saint Catherine’s and it is open most weekdays. Although most of the books are in Russian some are in English. 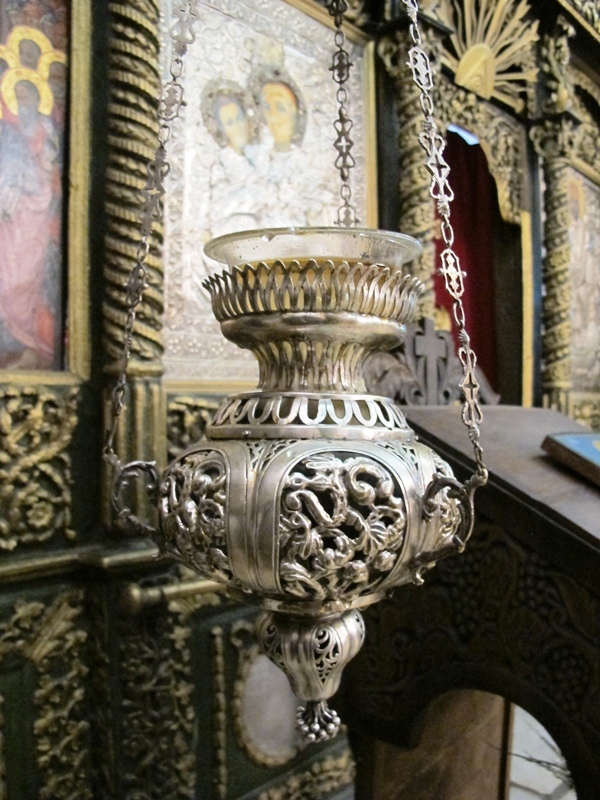 They offer a nice selection of icons and other Orthodox items, too. 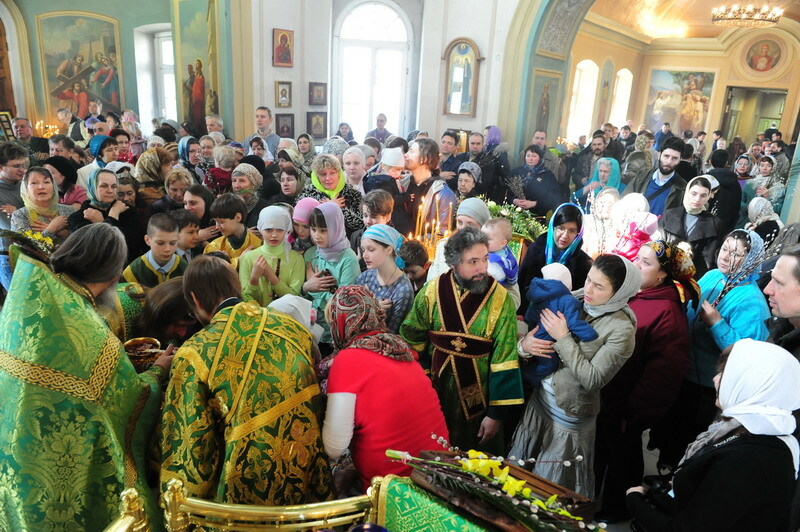 On most Sundays the majority of worshipers are native Russians but because of the status of the church being American you can meet visitors from European countries as well. 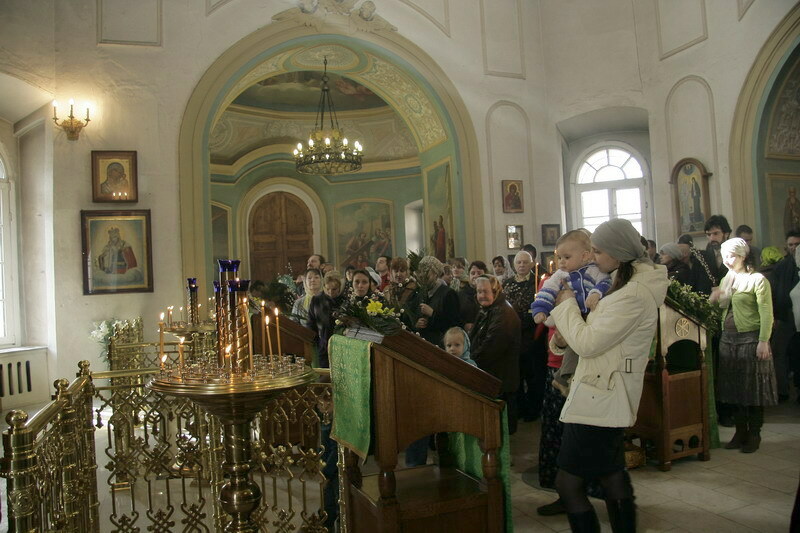 Most services are in Old Church Slavonic but some are bi-lingual in Russian and English.